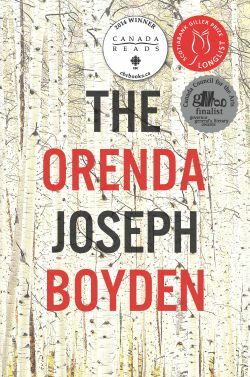 Come hear Canadian, Scotiabank Giller Prize-winning author Joseph Boyden speak on the themes of war, peace and The Orenda. This adult author reading is hosted by CBC Mainstreet’s Stephanie Domet. Mr. Boyden will read from his novel which recently won CBC Canada Reads 2014. A special Q & A and book signing will follow, so be sure to pick up your copy of The Orenda at the Pier 21 Gift Shop. Admission is free, but space is limited! RSVP with Matthew Ritchie at mritchie@pier21.ca. Please include your name and the number of people in your party. This event is hosted in partnership with CBC, in connection with Peace – The Exhibition, presented at the Canadian Museum of Immigration at Pier 21 from May 16 to October 19, 2014.